Efi was born in Athens in 1982. She studied dentistry at the Dental School of the National and Kapodistrian University of Athens from 2001 to 2006 where she graduated from. 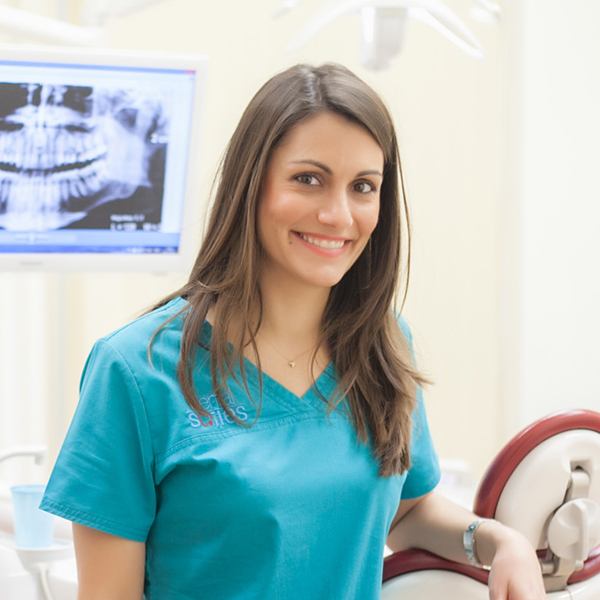 After her graduation she worked as a dentist in a private dental office in Athens until 2009. From 2009 until 2012 she went to Munich, Germany, where she specialized in Oral Surgery and Implantology at the University Hospital of Munich (LMU) at the department of Oral and Maxillofacial Surgery under the supervision of Prof. Prof. Dr. Dr. Michael Ehrenfeld. After successful completion of the certification exam she obtained her certification for Oral Surgery and Implantology. Efi broadened her knowledge in Implantology attending an additional two – year postgraduate course organized by the German Society of Oral and Maxillofacial Surgeons (DGMKG) in Germany, from 2012 until 2014, receiving after a successful examination her certification in Implantology. Between 2012 and 2015 she worked in a private dental clinic in Nuremberg as an Oral Surgeon performing successfully numerous oral surgeries and dental implant surgeries. Since February 2013 she is a PhD candidate at the University Hospital of Munich (LMU) at the department of Oral and Maxillofacial Surgery. 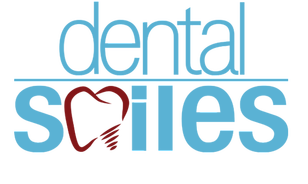 Additionally she is Head of the department of Oral Surgery and Implantology at Dental Smiles. Efi is always cooperating with colleagues of other specialties whenever necessary. Dental Association of Oral Surgeons in Germany.